When family and friends gather to celebrate, every element of your dining room decor should be worthy of these precious moments. Not only is this true for your table and chairs, but your sideboards and buffets, too. With function and beauty as an imperative, the Bassett collection of fine dining room sideboards and hutches are designed to be beautiful and functional. With our incomparable selection of dining room furniture and accessories, you’ll have no trouble finding the ideal sideboard for your dining room space. Shop from buffets and servers in a myriad of styles and sizes. Whether your preferences lean toward wood or glass, chic or rustic, you’ll find the perfect piece for your decor here at Bassett Furniture. While our design team scours the world for the latest, most attractive and well-built dining room furniture, there will be occasions when the perfect piece does not exist – yet. Our custom design program was created for situations such as this. 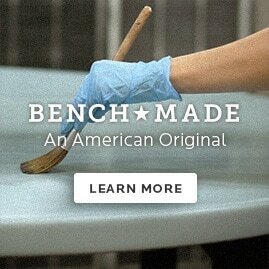 Select from a myriad of finish options, making you the furniture designer. Create a truly custom piece that will leave your guests breathless. Browse our showroom floor and take in the latest pieces our designers have acquired for the Bassett collection. Select from a myriad of sideboards, servers and dining room furniture. Should you feel particularly inspired, consider speaking with one of our design consultants. Custom design your very own piece and add your unique flair to your dining room. At Bassett, the options and possibilities are truly endless.